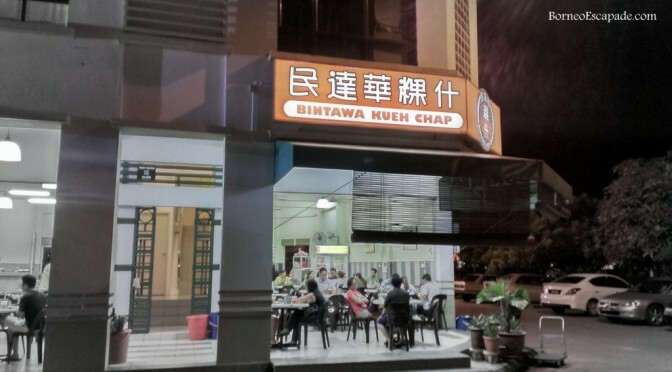 They say you must not fail to try Kueh Chap if you are visiting Kuching. This is one of the three famous dishes you must try out in Kuching after the Kolo Mee and Sarawak Laksa. A bowl of Kueh Chap (non-halal) normally contains herbal broth, pork meat, pork belly, pork intestines, toupok (fried tofu skin), boiled egg, youtiao (chinese cruller) and is normally served with rice flakes or a bowl of rice. If the ingredients sounds familiar to you, yes, this is quite similar to the other famous dish in Malaysia, Bak Kut Teh except the herbal broth used is different.